Has another year already come and gone? Of course it has, and I hope that your year was filled with satisfactions large and small and that your photography provided joy, passion, and creative expression. Now, let’s extoll some cameras! We took a poll of staffers here at B&H to come up with a list of the “best” cameras announced this year. The list is meant as a conversation starter and not the final word. Certainly, some wonderful cameras will not make the list, so please feel free to tell us, below, what cameras we missed and why you like the cameras that we did mention. These two cameras tied for the top spot and comments by our pollsters ranged from, “makes medium format a consideration instead of a fantasy,” and “wish-list-come-true cameras.” Both of these cameras have medium-format and mirrorless shooters excited, and everyone else thinking about becoming a medium-format mirrorless shooter. Their large, high-resolution sensors are the prime draw of the X1D-50c and the GFX 50S, but accessibility in price and design familiarity are obviously important, too. 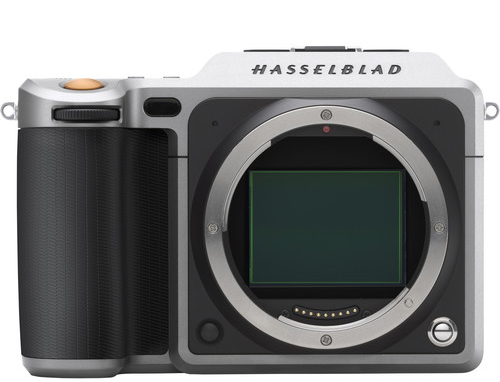 The Hasselblad utilizes a central shutter and brings with it 16-bit color, the Hasselblad Natural Color Solution, and adaptability to a long list of lenses, while the Fujifilm, with its new mount and impressive roadmap of lenses, has a focal plane shutter and a removable electronic viewfinder. The D500 is the camera that most Nikon DX format photographers have been awaiting since the D300s started getting a bit long in the tooth, but it’s not just the long wait that inspires the accolades for this crop-sensor gem, it’s the fact that it’s been endowed with many of the features of the flagship Nikon D5, including the same 153-point AF system and 180k-pixel RGB metering sensor of the professional full-frame camera. With a 10 fps burst rate, a magnesium-alloy and carbon fiber weather-sealed body, and the extra “reach” that the DX-format can bring to equivalent focal lengths, this camera will appeal to wildlife, sports, and action shooters. Its 20.9MP resolution is not quite as large as that of the DX D7200, but the EXPEED 5 processor is a step-up from the EXPEED 4 on the D7200 and the D500 can capture 4K/UHD video. 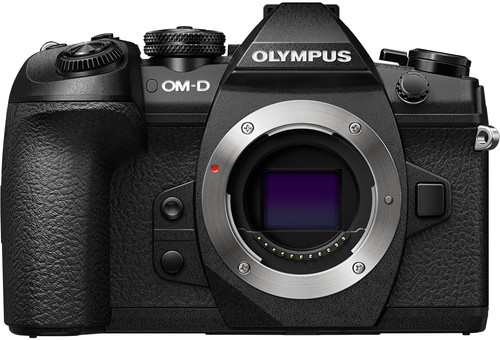 The Olympus OM-D E-M1 Mark II features a 20.4MP MOS sensor and TruePic VIII engine, enabling capable burst rates of 60 fps in Single AF with the electronic shutter, 18 fps with C-AF, and 15 fps with the mechanical shutter. This sensor/processor combination also provides expanded sensitivity to ISO 25600 and DCI and UHD 4K video. The new Dual FAST autofocus system combines contrast detection with 121 on-chip phase-detect points; in-body 5-axis image stabilization reduces shake by up to 5.5 stops. Its comfortable body is weather-sealed and features an electronic viewfinder, 3" fully articulating touchscreen LCD, and dual memory card slots. Little touches like silent shutter mode and Live Composite make it very practical for photographers who need such features. 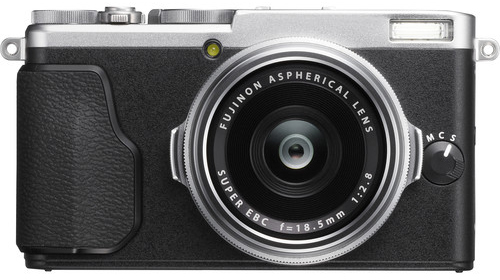 The Olympus Pen-F Mirrorless Camera also got a few votes for its compact size, 20.3MP sensor, and electronic viewfinder—the first in a Pen series camera. The first-ever full frame DSLR from Pentax has had Pentaxians dreaming for so long that it should make this list regardless, but by any measure, this is a great camera. 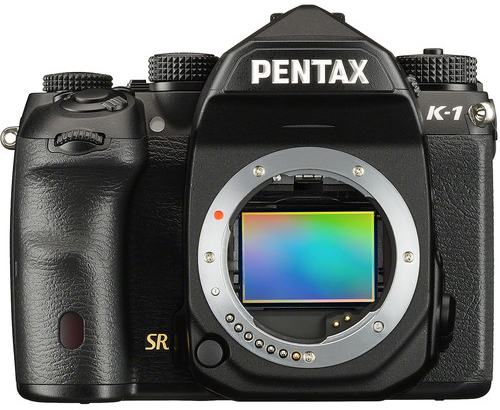 The Pentax K-1 DSLR Camera is built strong and weather-sealed, it provides a 36.4MP CMOS sensor and the Prime IV Image processor with native ISO to 204800 and 4.5 fps continuous shooting. 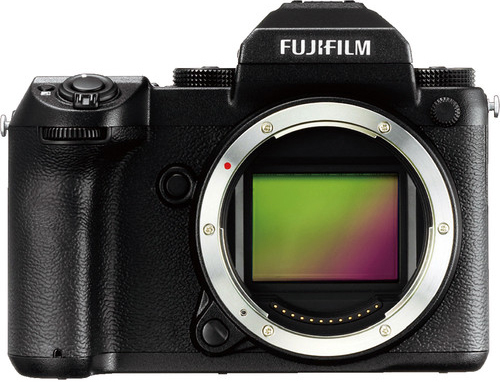 Built-in 5-axis Shake Reduction, omitted optical low-pass filter with the AA Filter Simulator function enable sharp, detailed imaging and the SAFOX 12 AF sensor with 33 AF points (25 cross type!) ensure fast and accurate focus. Touches like the flexible tilt LCD and Operation Assist Lights will be welcomed by all, not just pros, and the camera simply feels great in the hand. It may have seemed like a long wait, but clearly well worth it. 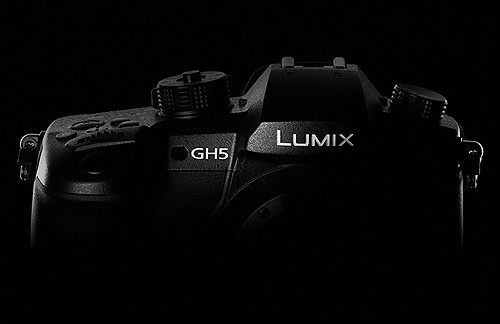 The GH5 is not yet available, but early specs and features were released at photokina and not only are GH4 shooters excited, but anyone who appreciates great video quality in a still camera form factor. A colleague was quoted as saying it’s a “camcorder disguised as a mirrorless camera” and with 4K at 60/50p, Panasonic is again breaking new ground. It also will provide internal 4:2:2 10-bit capture for 4K video at up to 30 fps and 6K PHOTO mode for high-quality still images pulled from video. Its compact form factor and still-imaging quality are also improved compared to the GH4, which was released in early 2104. An 18MP Micro Four Thirds sensor combined with upgraded digital signal processing and heat dissipation will result in improved battery life, image quality and low-light performance. The Lumix DMC-ZS60 is a “classic” point-and-shoot in that it is pocketable, with a broad focal length range, but it also has an 18.1MP sensor, EVF and touchscreen LCD, built-in Wi-Fi and 4K capture modes. 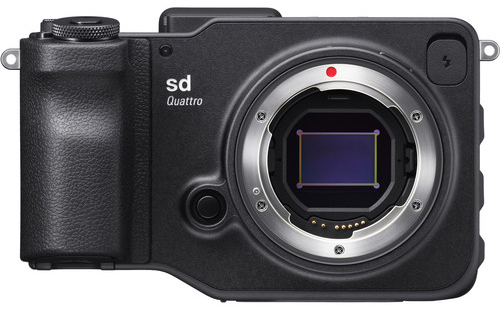 The sd Quattro and sd Quattro H Mirrorless Digital Cameras feature the Foveon X3 Quattro sensor which, if you’ve yet to try a Sigma, creates gorgeous color and sharp details, especially at lower ISOs. These are the company’s first mirrorless cameras that utilize their SA lens mount, enabling use of the wonderful (and wonderfully affordable) Global Vision lenses. Both cameras have “crop” sensors but the “H” version contains the slightly larger APS-H chip with 45MP resolution that is equivalent to the resolution on a 51MP Bayer-type sensor. The APS-C version offers a 29MP sensor that is roughly equivalent to a 39MP Bayer array. Some Sigma cameras have been known for their quirky form factor, and the compact sd line is no exception, but I found this handgrip particularly comfortable and the menu system and electronic viewfinder to my liking. 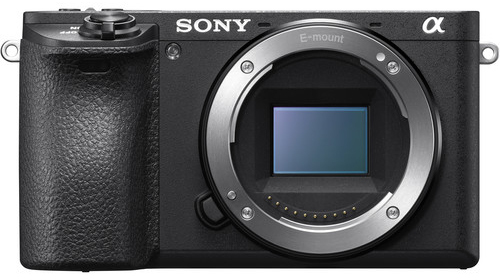 We would have probably put the A6300 on the list, since it came out in February, and boasts a great AF system, but we’re happy to push it over for the A6500, which was announced in October. Several specs are the same on these two cameras, including the 24.2MP APS-C sensor, the EVF, UHD 4K video, hybrid AF, and the durable weather-sealed body, but in-camera 5-axis image stabilization, touchscreen LCD, top-plate custom buttons, bigger buffer and front-end LSI for faster capture and operation make the A6500 “the benchmark” for compact mirrorless photography. It may be hard to call the Sony Cyber-shot DSC-RX10 III Digital Camera a point-and-shoot, given its high-end features, but this third iteration of the series continues to turn heads as a premiere fixed-lens mega zoom. A 20.1MP 1" sensor, 24-600mm equivalent focal length, UHD 4K video, SteadyShot stabilization, and the XGA OLED viewfinder highlight the feature set. One of our staffers called this the “cutest camera of the year,” and while that may not be much of an endorsement, its cuteness is just icing on the cake for what is a wonderful fixed focal length point-and-shoot. With an APS-C format sensor, 18.5mm lens, and 16.3MP X-Trans sensor, you can expect excellent image quality and color rendition from the X70. A 77-point AF system to go along 8 fps continuous shooting and electronic shutter will keep you shooting fast and in focus. Its 3.0" tilting touchscreen LCD , top plate controls, and hot shoe are welcomes for a retro-looking (aka “cute”) camera that fits comfortably into your pocket. Fujifilm updates to its two most important X-series cameras, the Fujifilm X-Pro2, its flagship model, and the Fujifilm X-T2, make clear why so many professionals and enthusiasts continue to move to Fujifilm mirrorless. 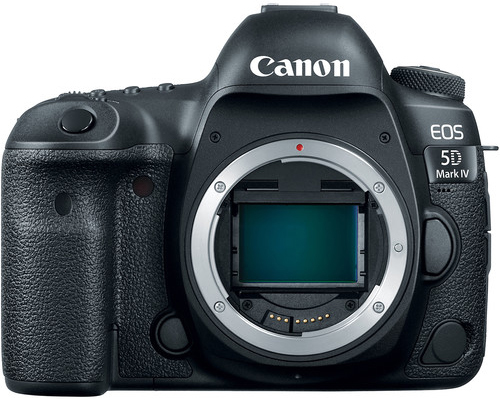 Another camera that has been anticipated by many and greeted very favorably is the 5D Mark IV, the update to the powerhouse Mark III. Improved features abound, including DCI 4K video at 30 fps, from which you can even pull 8.8MP stills. The camera offers full-frame 30.4MP resolution, the DIGIC 6+ processor, and responsive Dual-Pixel autofocus with a 61-point system when shooting through the viewfinder. Built-in Wi-Fi and GPS and dual CF and SD memory card slots are provided, and a mirror vibration control system minimizes blur. With the EOS M5 Mirrorless Camera, critics are saying that Canon has done mirrorless right. Compatibility with EF-M lenses and adaptable support for EF and EF-S lenses, 5-axis stabilization, touchscreen tilt LCD, and dual-pixel AF are just some of the reasons this camera is receiving high praise. I’ll mention a few outliers that made our list and are certainly worth checking out. The Leica M-D (Typ 262) Digital Rangefinder offers all the quality of the M-series digital but strips it down to its basics—stills only, manually controlled ISO dial, and no LCD! Nikon has introduced its KeyMission Action Camera line, including the dual-lens KeyMission 360 for spherical UHD 4K video and 29MP still image capture. Their specs vary, but all are freeze-proof, waterproof, and shockproof. Finally, the iPhone 7 Plus brought much applause when it was announced that the phone’s camera would be a dual sensor, 2x optical zoom with f/1.8 and f/2.8 lenses and a Quad-LED flash. Now, please fill up that Comments section with all the cameras I did not mention and, of course, poignant comments on the ones I did. Sony Alpha A99 Mark II should be added to the list! Great camera. Thanks for the feedback Henry. What is the big deal about the new cameras, I'm still using a Nikon D200. I bought it for wild life photography and it has never failed me or not reached my expectations. Not once! Your Nikon D200 quite infact used to be a "new camera". Memorial Day weekend, 2016, a friend noticed I own a Canoin 5D III and he asked about the differences between the II and the III. Since the 5D III was my first DSLR, I couldn't answer his questions about improvements; but I told him to hold off on upgrading since the Mk IV was rumored to be released. The IV would be what I would buy today if it wasn't 2013. I also recommended B&H. Do I get a kickback? Thank you Ralph, but no kickbacks!! ...you are however one of our favorite explora commenters and I really do appreciate the feedback you give. 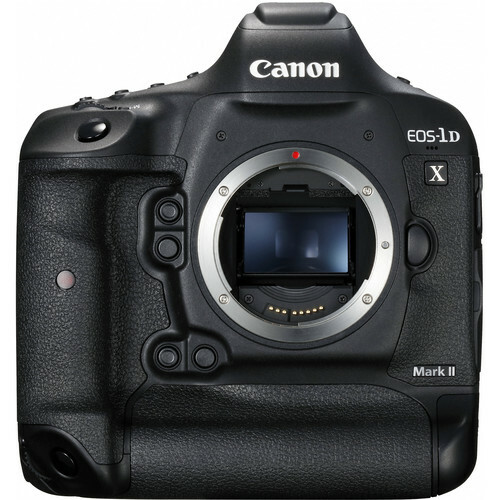 You should tell your friend that the Mark II was a breakthrough for DSLR/video, that the Mark III became a professional standard and that the Mark IV was released and is currently available. Thanks again Ralph. Rick hit the nail on the head. If it's not released yet, it doesn't belong on the best of 2016 list. Not that it doesn't deserve it, but if it's not out by the time the list is published, it belongs in the following years list. 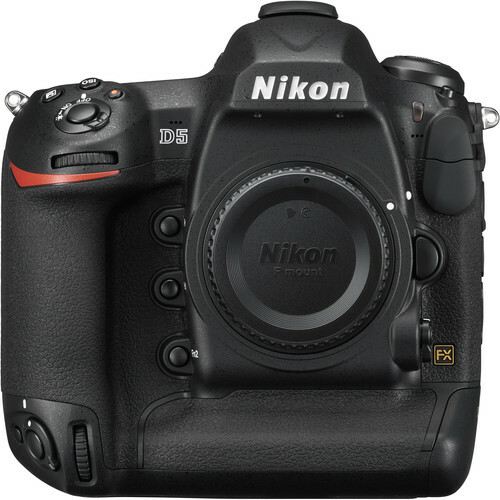 Am I the only one waiting for the Nikon D610 Successor? I suggest the Nikon D810...this camera has beautiful image quality, great custom menu settings, spectacular ISO performance (both high and low), 60 fps video, a built in pop up flash for when you need it, a sturdy body, and a PC port for direct flash hookup. I upgraded from a D40x &#x1F602; But I have to say, the d810 is a great camera all on its own. Thanks for the comment Patrick. I did mention both cameras briefly, and needless to say they are wonderful cameras, no one would argue the impact these X-series cameras have had, and perhaps it is just that, the impact the first generation (X-Pro1 and X-T1) had overshadowed their follow-ups in our writer's eyes. Thanks again for contributing. It's remarkable that two years on, nothing has caught up to the Samsung NX1. Several of the cameras are out already, but that doesn't matter. This list is how B&H views the market and top cameras, not how you do! It isn't unusual at all for reviewers to do this, it's what camera mags do all the time. Frankly, I appreciate the list and got valuable information I was looking for. I also have the D500 and love it. It is always best to look for the positives and not the negatives. That's what is wrong with this world today. I enjoyed the article personally. So one can either read and use such things or forget about them and go on. The negative feedback was just as useless and the article is claimed to be! Wow! Most of these cameras aren't even shipping yet! This is just a glorified ad - I expect more from you B&H. Can't speak for the others, by my wife and I love our Nikon D-500s which have been out for quite a while. Plus I think we have a friend with the newest Canon model, also out for a few months. Cameras that aren't shipping and/or don't have any professional reviews yet don't belong on a "Best of 2016" list. Rick: Thanks for the comments. You make a good point, but I will refer you to the first paragraph where I mentioned that I was writing about cameras that have been announced in 2016 and certainly most of the cameras in the article are currently available and those that aren’t, will soon be. As I'm sure you realize, the writers and staff at B&H often get information on cameras months before they are available for purchase and we're able to base judgements on the specs that are released. We don’t always know when they will actually become available and certainly someone interested in the a6300, for example, might like to know that the a6500 will be available soon. However, I will back away a bit from the "Best of" title for this article, I preferred the phrasing "Cameras of the Year". Small potatoes you might say, but for me, it makes a difference and I think speaks to the point you are making. Thanks again for reading and helping to make explora better. Patience my friend... three of the six cameras that were not yet available last week are expected in stock by end of this week... and thank you for reading explora David! The Pentax K3II camera is definitely a good camera with some unique features to it that sets it apart from other manufacturers and offerings out there. Combined with their choice optics it is quite a powerful tool to work with. What you think about Lumix DMC FZ200? I love the 2.8 25-600 leica zoom. Or FZ300 4K. Thanks for reading Victor. Both are fine cameras with powerful optical zoom lenses by Leica. As you noted, the FZ300 is updated to include 4K video, 5-Axis HYBRID O.I.S, touchscreen and Wi-Fi, so I see the advantages, but if you already own the FZ200 (released in 2012) and are not specifically intending to use the improved capabilities, you may want to hold on to your current model as its basic photo specs are very similar to the new model. I use the Canon 5Ds with their 600mm f4 lens to photograph birds. Often this is at distance because of nest location. The high megapixel count (50+) allows me to crop and enlarge a nicely detailed picture without all of the surrounding unnesessary stuff. One example is an Osprey nest on top of an electrical pole with the only place to get a view of the nest 300 feet away. Even with the long lens, a lot of cropping is required. Hats off to Canon for a sturdy smooth and quiet working body. My Osprey pictures are received with admiration wherever they are seen. Thank you Jerry for the great comment...a practical demonstration of how a new system with heightened capabilities can improve your work. Enjoy. I guess I spoke a day or two too soon! 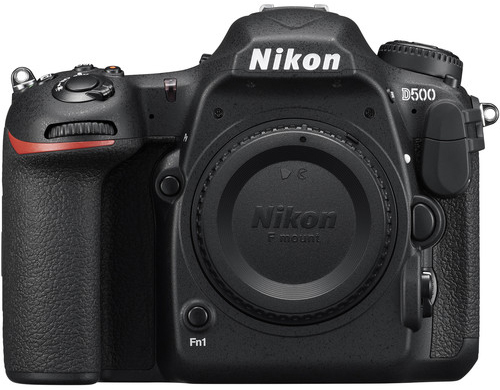 While the D7200 is still a great camera, Nikon just released the D500, which seems to take over the top spot in their line-up of new DXformat cameras. Thanks Mike... I attached the link for the SX520 HS for reader sto have more information on this camera but it is currently "no longer available" as a new model as it was released in 2014. I also linked our Used Department in case it becomes available there. 5Ds(r) is on the list purely as it has 50MP? That is just dumb. The Canon 5Dsr is a great camera because it has such a high pixel count. I use it instead of a neg scanner. With a 100mm Macro over a light box I can shoot hundreds of 4x5 and 6x6 negatives in a few hours. The results are superb. I'm serious concidering the Leica Q and it was great to see it on the list. I'm a real big fan of the 28mm FOV and I hear it's super fun to shoot. Thank you Alexander. My colleagues who have used this camera, have nothing but the best to say about it. If you do end up gettig it, let us know your thoughts. Gerardo...thank you. Absolutley, an impressive camera... we just finished a podcast episode in which that camera was mentioned. Seems like the obvious omission of the LUMIX series was intentional. Being new to the M43 platform, I did extensive research and settled with the LUMIX GX8. The LUMIX line up is certainly a worthy mention and this review lineup seems painfully flawed without the Panasonic Flagships GH4 and the new GX8 even mentioned. I recently bought the Nikon D7200 after much research. I am surprised this camera did not make the cut. Robert and Ranger6: I agree that the D7200 is just about all you could ever ask from a DX format Nikon. Please see my review from earlier this year. Although it was released in late 2014, I was expecting some mention to the D750 that I am thrilled to own! This is just an ad for Sony. Thanks Olga, I have the D750 and love it, but I woudl refer you to the first line of the article for some mention of it.